Forty years ago Steve Jobs and Steve Wozniak met in a garage to build a computer that would change modern computing as we know it. Jobs and Wozniak would go on to become celebrities of Silicon Valley; and their company would become one of the most recognized and successful brands in the world. On Friday April 1 2016, Apple is celebrating its 40th anniversary. Over the years Apple has become one of the world’s most valuable company’s – currently worth an estimated US$584 billion – and introduced revolutionary products to the tech marketplace, like from the iMac to iPod to the iPhone. 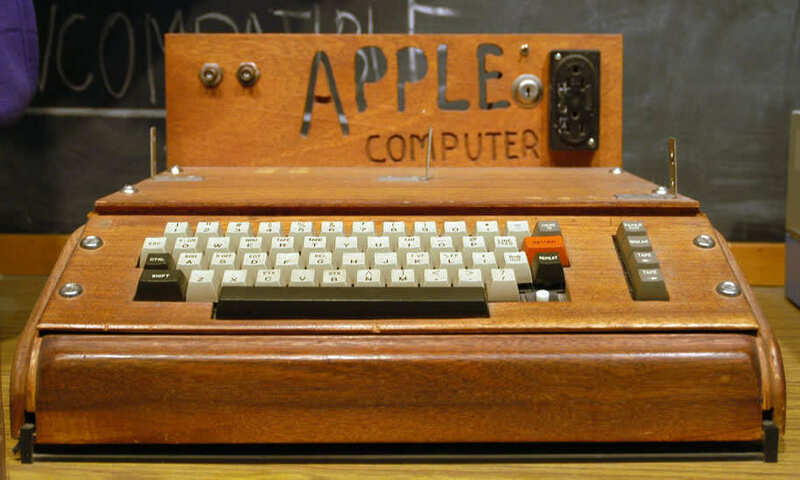 In 1976, the first Apple Computer, also known as the Apple I unveiled. It was designed and built by Apple co-founder Steve Wozniak. Wozniak’s friend Steve Jobs had the idea of selling the computer and the Apple I was born. The vintage computers are now worth about $200,000. Mark 2 of Apple’s computer – the Apple II – was a much more commercial product and came with its own case. It had a MOS Technology processor running at just 1MHz with 4KB of RAM. Today’s iPhones have processors running at 1,800 times the clock speed with 500,000 times more RAM. The Apple Lisa computer was groundbreaking, with an integrated screen, user interface and Apple’s first mouse. But at $10,000 (almost $20,000 in today’s money), the Lisa was never going to fly off the shelves. The company launched ‘portable’ computer. The Apple IIc could be carried about, but had no battery, which meant a power socket needed to be close by. Portable Apple computers weren’t the only thing new in 1984, the first Macintosh computer was also released as the first ‘affordable’ computer with a graphical user interface selling for $2,495 at the time. The Mac was born. And also Apple launches its now iconic commercial for the Macintosh Computer. Apple’s first true laptop as we know them today, the PowerBook 100 (right), was designed and manufactured by Sony for Apple. It cost $2,500 at the time. For size comparison, the machine on the left is a 2012 13in retina MacBook Pro. Before the iPhone was a twinkle in Steve Jobs’ eye, the Newton Message pad was Apple’s first attempt at a pocket computer. It took 6.5 years to develop, had the first real handwriting recognition and coined the term ‘personal digital assistant’ or PDA. It only lasted for five years but the team that developed the software for it eventually went on to develop the first iPod operating system. The first of Apple’s short-lived digital cameras before the release of the iPhone all by crushed point-and-shoot cameras, the QuickTake 100 had 1MB of storage and was built by Kodak. It was followed by the QuickTake 150, which could connect to Windows and the QuickTake 200, built by Fujifilm. In 1994, the first PowerPC Apple computer, this one with a 66MHz processor, the Power Macintosh 6100 paved the way for a whole series of PowerPC Apple computers that were only replaced with the switch to Intel chips in mid-2000s. The company launches the first “all-in-one” iMac computer – you know, the ones with the colourful plastic backing. 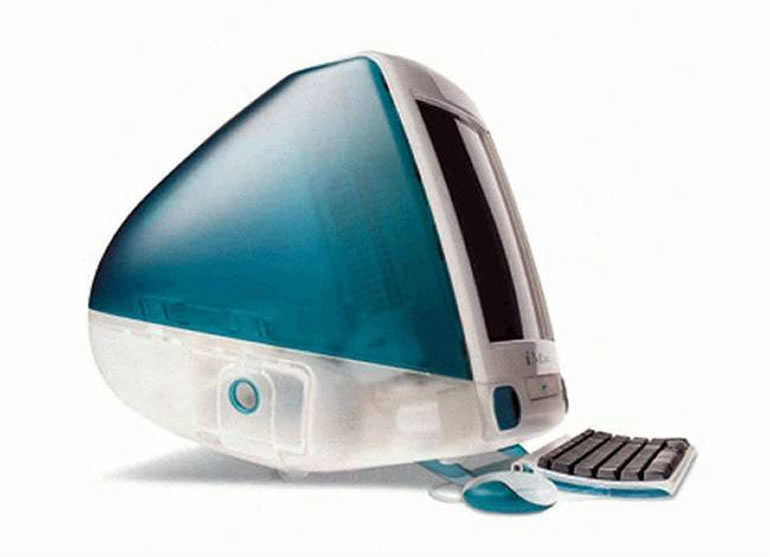 Following the iMac the iBook was the next step for Apple aimed at the mass market. The product that would completely change the face of Apple, from a computer company into a devices company, the iPod was born in 2001. It had 5GB of space, a small LCD screen and wasn’t revolutionary, but was smaller than most and was marketed well, eventually dominating the market. The first iPod was Mac-only and had a physical wheel that moved to scroll. And also in 2001, Apple dumped its legacy operating system wholesale and switched to a new incompatible version with the launch of OS X 10.0 Cheetah, which went on to form the basis of not only the current version of OS X 1o.11 El Capitan, but iOS, which runs the iPhone and iPad. Following the success of the iPod, the iPhone launched Apple into a new age. It turned the company into a powerhouse, shipping with 4GB of storage, a 3.5in capacitive multi-touch screen and 620MHz Samsung processor. The iPhone took 2.5 years to develop and was arguably the start of the internet-connected, portable computing age we live in now, even if it have rivals that did things first and didn’t even support native apps for a year. The MacBook Air was the biggest change in Apple’s laptop line for years, and invented a whole new category of computers called ‘ultrabooks’ by Intel. The first MacBook Air had a slow, tiny hard drive, slow processor and relatively poor battery life but it heralded a new era of thin and light laptops. Apple introduces its first tablet with the iPad. 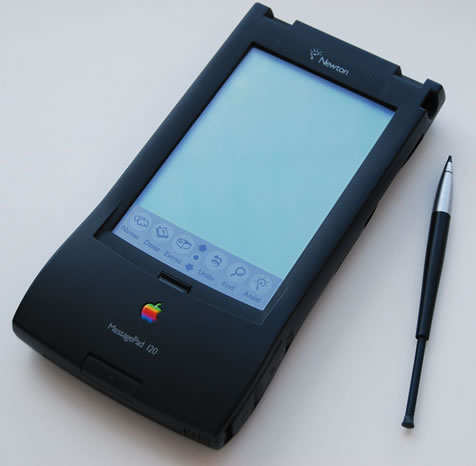 The iPad’s origins hark back to the 1993 Newton when a prototype tablet was made but never released and was conceived in its current form before the iPhone but delayed until after the release of Apple’s smartphone. Siri, Apple’s snarky voice assistant, stole the show when Apple released the iPhone 4S in 2011. That was the same year the company launched cloud computing with iCloud, an online storage system. This was the same year Steve Jobs resigned as CEO due to illness. He died of cancer in October 2011. Apple buys Beats,which made headphones and ran a music service, for US$3 billion. The headphones continue to be sold, but Beats Music morphed into the Apple Music subscription service, with radio station Beats One the lasting remnants of the brand. After years of rumours, Apple finally unveils its first wearable device – the Apple Watch.